← A History-Assisting Historian? Helping Lyle Tuttle Tattoo on 7 Continents! 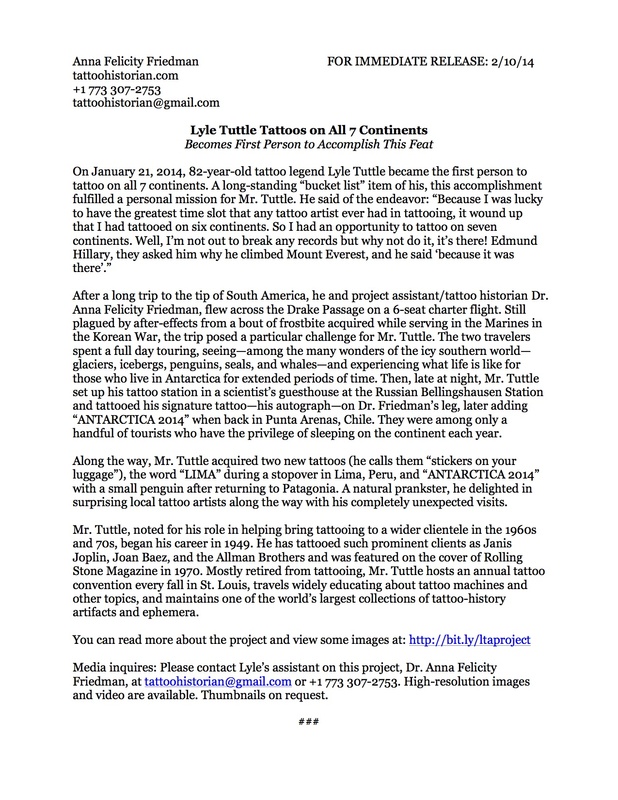 Official press release out for the Lyle Tuttle Antarctica 2014 project. After 2 1/2 weeks of seeing if anyone could refute the claim that he’s the first to tattoo on all 7 continents, I’m ready to call it! Feel free to distribute the pdf below to anyone you might know in the media. Thanks!